There are different methods of networking your computers. 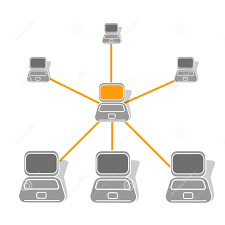 The main concept is that each computer on the network can share files with the other computers on the network. Unfortunately, we cannot help you set up or troubleshoot your network. If you need help networking your computers together, there is a wealth of information available by searching the internet. We have developed the following instructions outlining how you can share TurboBid's 4.0 or 5.0 SQL database between multiple computers that are networked together. This method will allow multiple users to work in the same TurboBid database at the same time. Changes that each user makes will be saved, as long as they're not working in the same estimate at the same time. Please remember that a single TurboBid license is valid for a single user. If you are going to have an additional user using TurboBid, please purchase an additional license by clicking here. If you cannot find the SQL Server Management Studio, you can download it for free by clicking here. Right-click on the Databases folder and select Attach…. If you receive an error regarding the log file, Select the ldf file from the “TurboBidDatabase” Database Details section and delete it. If you can’t change the startup type, go to Control Panel > System and Security > Administrative Tools > Services. Scroll down to SQL Server Browser, right-click and select Properties. In the General tab, change the startup type to Automatic, click Start and click Apply. You can click Close to close the window and exit the SQL Server Configuration Manager. Continue directly to step 8. Disable the local instance of sqlserver on the client machine. Do not do this on the host machine (server). Select or enter the server from the Sql Server drop down list.